While Samsung’s smartphone-powered Gear VR is considered to be the best virtual reality headset that doesn’t require hooking up to a PC, the amount of content available for the device is still pretty limited. But the number of available titles are increasing, and now the third biggest selling video game of all time, Minecraft, has been brought to the system. News of Microsoft’s plan to release Minecraft: Gear VR Edition came at GDC 2016 in San Francisco last month. The game has now arrived on the Oculus store and is available to anyone with a Gear VR and compatible Samsung Galaxy smartphone for $7. This VR version of Minecraft offers all the same features as the Pocket Edition, such as creative and survival modes, multiplayer, and skins. It also lets you choose between the default theater view, where you play the game on a giant virtual screen, and a first-person mode that immerses you in the blocky world. “Experiencing it in virtual reality changes it from an abstract activity to a visceral one – it goes from a sense of playing the game to one of being inside your world, and spinning around to find a creeper sneaking up on you leaves a powerful impression,” he added. The Oculus team has pointed out that you’ll need a gamepad to play the VR version of Minecraft, so don’t try to use the Gear’s directional touchpad. 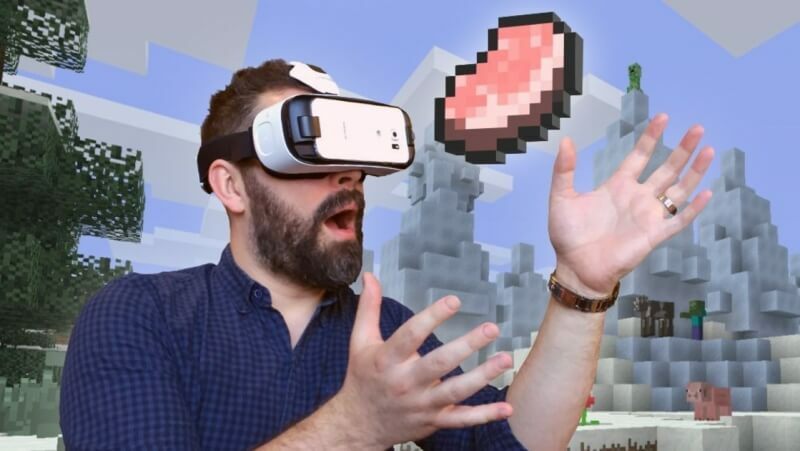 Minecraft: Gear VR Edition should give a rough idea of what the version currently being developed for the Oculus Rift will look like, though the $800 headset will provide a more high-end experience thanks to its advanced positional tracking technology and the fact it's powered by a PC and not a smartphone.